Donate your car, truck, motorcycle, RV, or boat to benefit Susan G. Komen®, you’re helping save lives in Dallas County. Your donation provides funding for research aimed at finding new ways to detect, treat and prevent breast cancer, and services that ensure everyone in Dallas County has access to quality care when they need it. 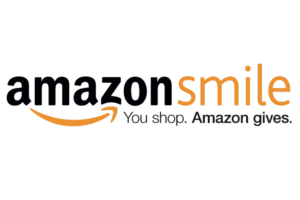 We want to thank Amazon Smile for providing a platform that helps you find a great gift while also donating 0.5% of all eligible purchases to Komen Dallas County whenever shoppers buy through AmazonSmile. All first time users of Lyft, that use the code KOMENDALLAS, will receive up to $10 off their first ride. Lyft also donates $10 to Komen Dallas County every time the code is used and a ride is taken within two weeks. Learn more here! Eighty million people are expected to try yoga for the first time this year. Manduka Yoga and Susan G. Komen know something about statistics. With 40,000 women expected to die this year alone in the U.S. of breast cancer, Komen and Manduka want to help change that statistic through the power of yoga. Join Project: OM this Mother’s Day weekend and help us reach our Bold Goal of reducing the current number of breast cancer deaths by 50 percent in the U.S. by 2026. Go to projectOM.com to learn how you can get involved and help us change the lives of women and men facing a diagnosis. Do you have a Kroger card? Will you consider enrolling or re-enrolling for the Kroger Community Rewards Program for 2016-2017 and choosing Susan G. Komen Dallas County as your non-profit? Kroger Community Rewards makes fundraising easy…all you have to do is shop at Kroger and swipe your Plus Card! When you sign up through the Kroger Community Rewards program, each time you swipe your card Komen Dallas County will receive a donation. *All participants must re-enroll each year to continue earning rewards for their chosen organization. You may begin enrolling or re-enrolling now. Ford Motor Company has been in the fight against breast cancer for 22 years. 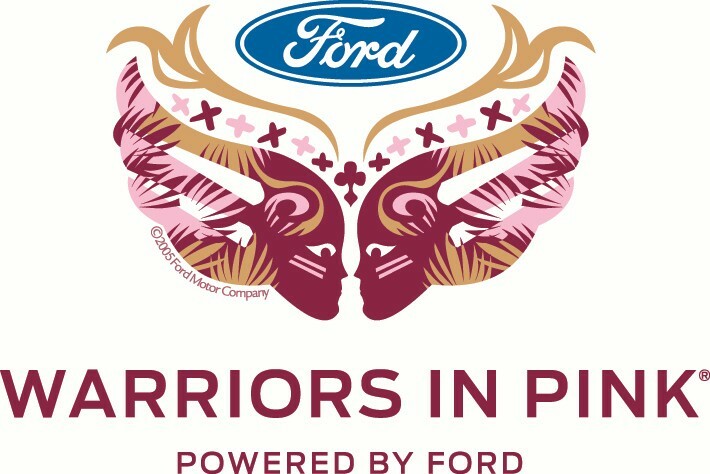 100% of the net proceeds from Warriors in Pink apparel will go to Komen Dallas County when you use the unique code DALCTYWIP at check out. Bank of America serves as the National Presenting Sponsor of the Susan G. Komen Race for the Cure® Series in the United States. Bank of America also helps support Komen through its Pink Ribbon Banking Affinity products, which have raised over $7 million to date. For each new Pink Ribbon credit card benefiting Susan G. Komen opened, Komen receives a minimum of $3 and 0.08% of all net retail purchases made with the card. For example, 8 cents for every $100. 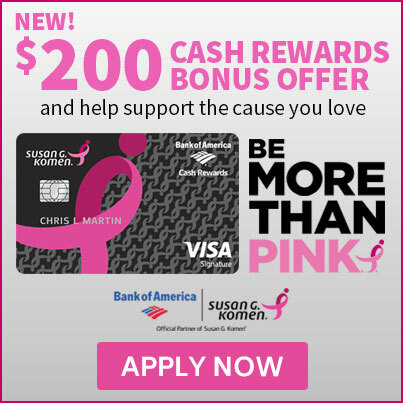 Komen also receives $3 for each renewal of a card that was in good standing during the 12 month period and does not have a zero balance at the time of the renewal. Learn more here!